Having returned from our two weeks holiday in Egypt last Thursday I quickly started with new knitting projects so I can happily join Ginnys Yarn along again today. After visiting my grandparents on the weekend I came home yet with another christmas project at hand: a pair of knit-felted slippers (the tutorial is a guest post at Marigold’s loft) for my grandma. As I’m absolutely positive that she won’t read my blog, I can show the progress on this (those shoes don’t take that much time) . And when I’ve finished I think, I will start another pair as guest slippers with all the leftover knit-felting wool so they’ll be quite colourful I guess. And after reading last weeks Yarn Along I stumbled upon a pattern for an seamingly easy lace shawl that I wanted to try as another christmas present. 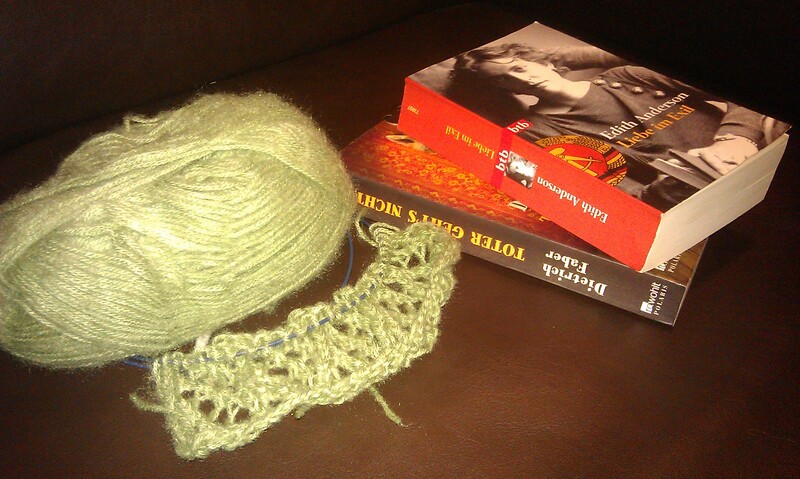 I found some lacy light green yarn in my Mum’s left overs that was just the yarn for it. But after trying the pattern I altered it completely and now I really like it. And it’s a fast knit. When it comes to reading, after two weeks of extensive reading I am back to “Liebe im Exil” by Edith Anderson and I brought back a detective story from my grandparent’s house. 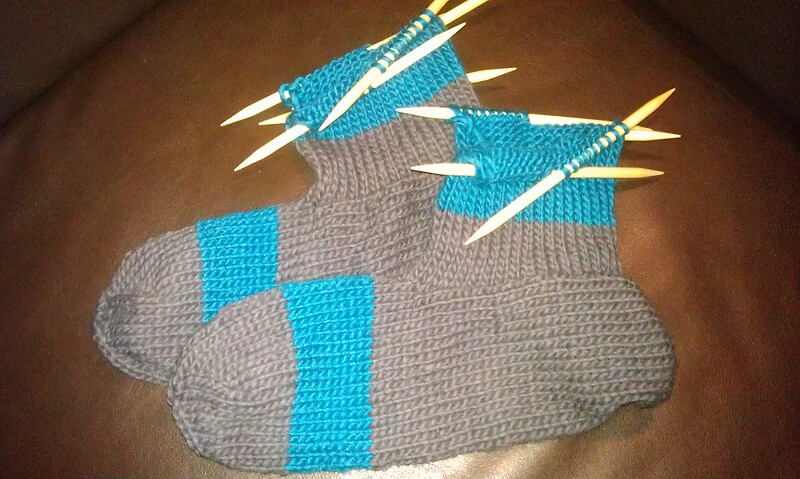 This entry was posted in Knitting & Crocheting and tagged Knitting, Scarf, Slippers, Yarn Along by kathatravelling. Bookmark the permalink. 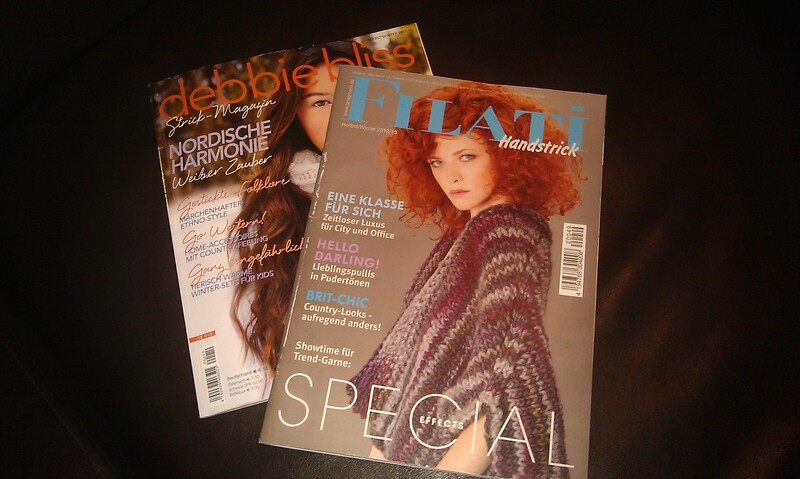 Ich LIEBE diese Filati Hefte! Jedes mal wenn wir in Dtld zu Besuch sind, klappere ich saemtliche Laeden danach ab.